Once again, "Mine is different, and looks better." iOS has many features and is very quick, but what lays on top of all this is the built-in animations. Animations are a big part of the satisfaction when it comes how much the users enjoys using a certain software. So let’s just go ahead and point out, iOS has very nice animations. Thus, having the Iris Shot tweak definitely adds some extra icing to the cake. In Cydia you will find that there are tons of tweaks that add different animations. This is partly because it is just nice to have this “eye-candy” to make using your iOS device look even more slick than it already is. 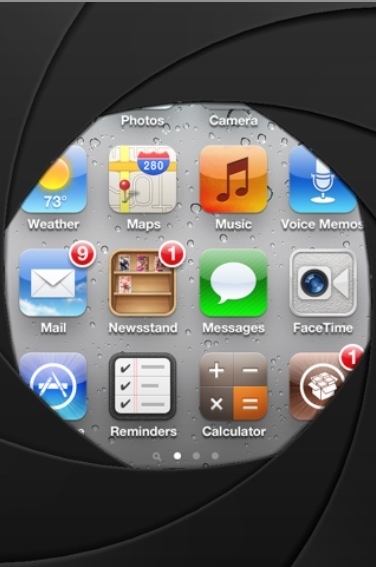 If you are interested in the Iris Shot Cydia tweak then you can find it through the BigBoss repo for free (requires iOS 4 or 5).